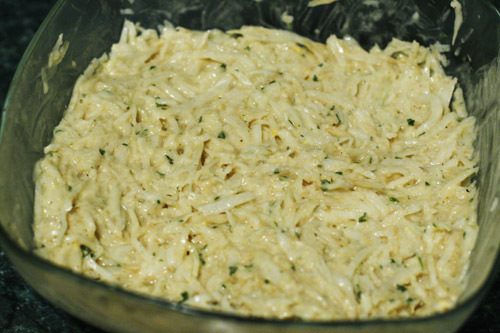 So Celeri Remoulade it’s gonna be: our very own Coleslow! 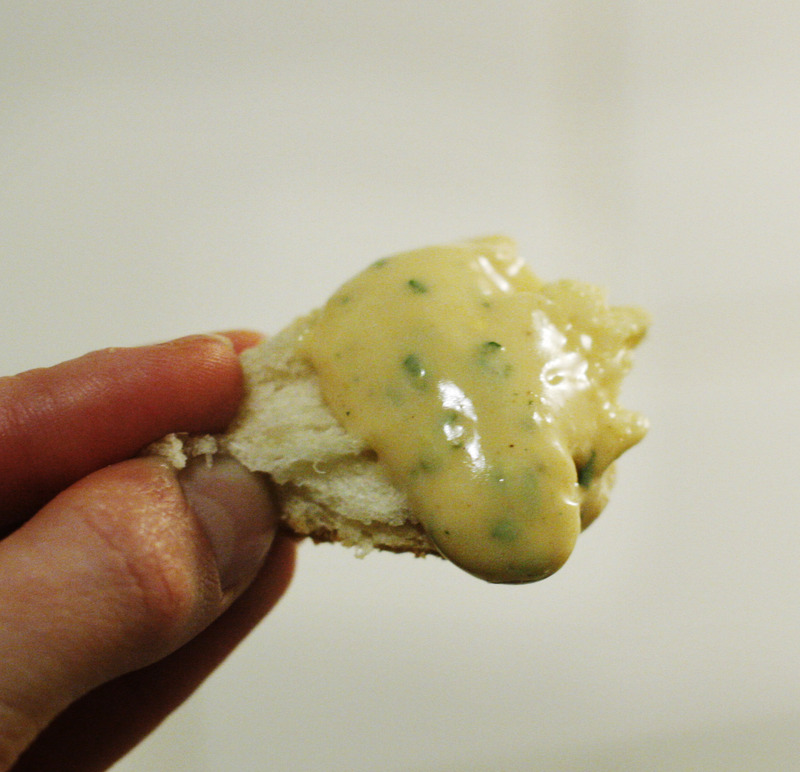 And like the latter, nothing beats making it yourself with a good old home-made mayonnaise! 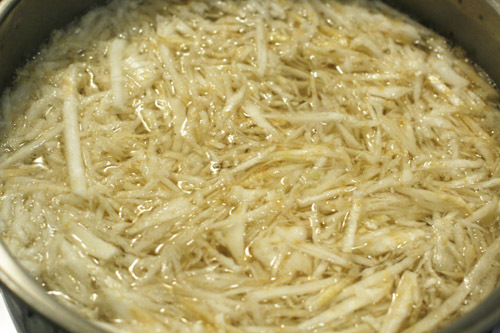 The shredded Celeriac goes in boiling water for 1-2 minutes and is strained. 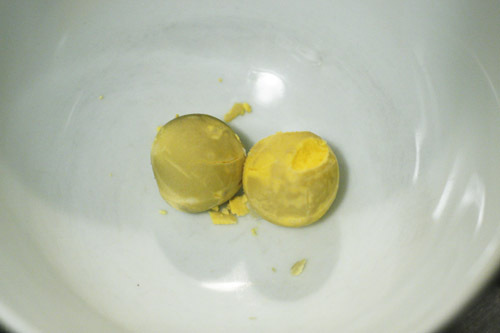 Once transferred in a salad bowl, I squeeze lemon juice over it so that it doesn’t darken. It’s time to start on the mayonnaise: I take 2 hard-boil to eggs, separate the whites from the yolk and keep the yolks for the mayonnaise. 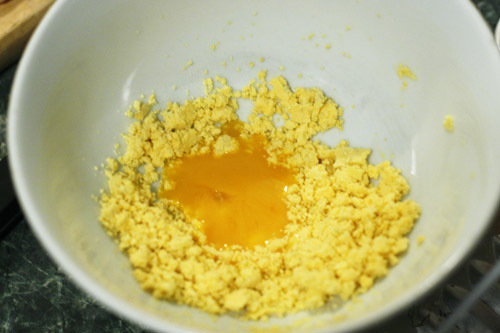 I then add a raw egg yolk and mix them with a fork. This is followed by a generous table spoon of Dijon mustard and more energetic mixing. Once I obtain a smooth consistency, I start adding little by little some Sunflower oil, about 250ml (I prefer this type of vegetable oil, not as overpowering as olive oil). I also add chopped parsley, salt and pepper. I taste it and season it more. I make sure it really tastes good with a piece of fresh bread, and another one, and then another last one. I then add the mayonnaise to the Celeriac and mix it well, correcting the seasoning to taste (a bit more Dijon mustard, bit more salt & pepper). You can also add capers or thinly sliced Cornichons (Baby cucumbers / Gherkins) to add a bit more zang! 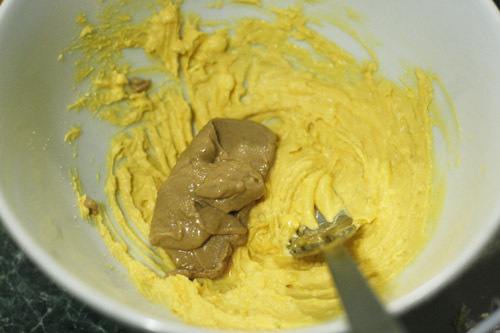 The mixture is then to be kept refrigerated for at least an hour before serving. I am pretty pleased with myself, it tastes like I remember it! 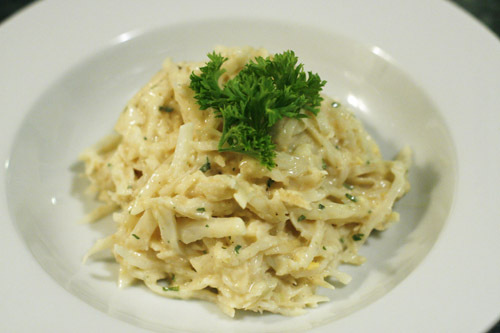 This entry was posted in Recipes and tagged Celeriac, Mayonnaise, Recipe, Remoulade. Bookmark the permalink. My sister-in-law deep fried Celeriac with chili powder, it was different. Now this is the recipe I’m gonna like. It is so luscious! 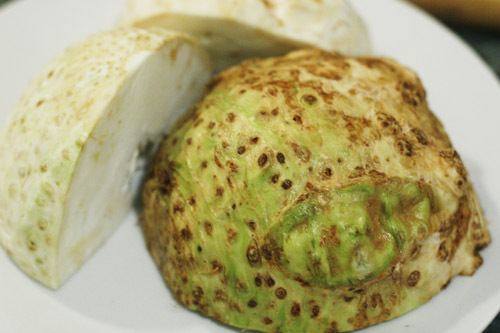 That deep-fried Celeriac doesn’t sound too bad either, I might give it a go too! 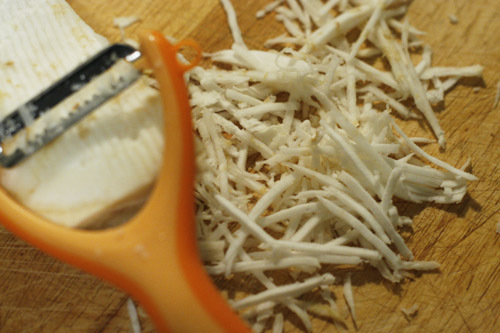 Why didn’t you use the mouli that I gave to Matt for shredding ! It has plates with different size holes ! 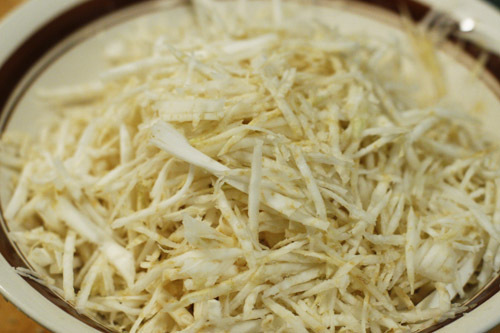 I use it all the time for celery, carrots and also cabbage and it’s very quickly done with it ! Anyway your dish looks very yummy ! And that mayonnaise of yours ! ! By the way I never cook the celery before, just add the lemon juice ! A plus ! I’ve never seen mayonnaise made with cooked egg yolks before? I’m very intrigued. 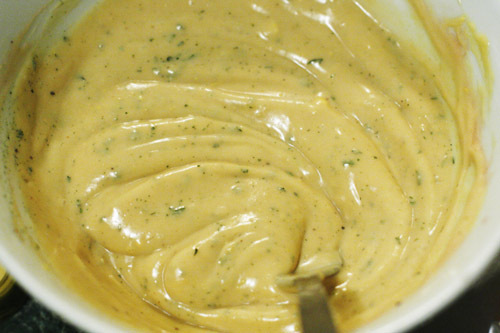 I’m not a fan of mayo except for remoulades, so no need for me to make it at home. Yes, I saw that version with cooked eggs on Saveursdumonde.net and thought I’d give it a go for the Remoulade, to make it richer. thanks for leaving a comment on my blog. you asked me where i buy my palm hearts, try fiji markets in newtown. on king st near st peter’s station. Thank you very much for that, I’ll try there for sure! I’ve been obsessed with finding some lately, don’t know why! That looks like the kind of dish that you start eating and can’t stop! And I like the idea of using cornichons with it. Thank you! That was a really last-minute jobbie!